Starting a virtual assistant business just might be your answer to successfully working from home. With each passing day, the world becomes more digital. Innovations in technology have streamlined business and communication, flipping the traditional business model on its head. Think about it. From the palm of your hand, you can do virtually anything. Whether it is ordering food, chatting with clients or friends or even booking appointments or hotels, gone are the days when you had to be in the office to do so. Businesses are utilizing this growing digital trend by cutting costs through remote work and freelance hirings. In fact, remote and freelance work has grown by over 140% since 2005. This shift in the business climate has opened the door for virtual assistants. The growth of this field has soared as businesses are able to utilize the skills of professionals while also keeping costs low. It’s no wonder thousands of professionals have left their traditional job to become virtual assistants. They serve their clients all around the globe from the comfort of their home or a coffee shop. Sounds appealing, right? Maybe being a VA is right for you. Let’s take a look at how you can become a successful virtual assistant. How Much Money do VA’s Earn? How Many Hours do VA’s Need to Work? Secretaries and administrative assistants help accomplish a variety of tasks for the organization. Their duties often are underappreciated and sometimes go unnoticed but their work is essential to the operational success of the business. A virtual assistant fills this same role for companies by serving in a variety of duties for the organization. These duties include administrative work, marketing, sales, operations and other components of the business. Some virtual assistants will never meet their clients face-to-face but play a crucial role in the operations of the business despite not being physically present. Depending on the duties and industry, VA’s can charge between $10 and $100 per hour for their services. Obviously, each business is different but most virtual assistants charge around $15 to $30 an hour for their services. With more experience or when working in more of a niche industry, some virtual assistants are able to pull in $3,000-$6,000 a month in work. 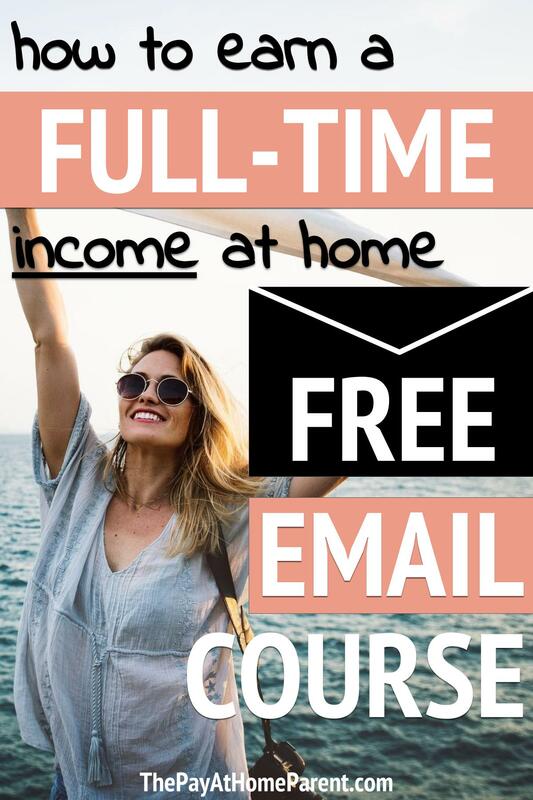 While this isn’t a guaranteed monthly income, with enough work and clients, you can make virtual assistance a profitable work from home venture. Don’t assume you will be able to casually check your email while sitting in your pajamas and binge-watching Netflix. Being a virtual assistant requires hard work to be successful. Some VA’s work part-time while others work a full 40+ hours a week. It all depends on the number of responsibilities an organization asks you to perform and the urgency of fulfilling those requests. Hours can also vary based upon where your client is located. If you live in California and your client is in Georgia, obviously the hours will be different, meaning you will be working earlier or later in the day. VA’s with international clients will have even further time considerations. Virtual assistants work in a variety of areas of a business. Whether it is answering emails or scheduling appointments, a virtual assistant provides support with many ancillary duties at an organization. Gina Horkey paved the way for those starting a virtual assistant home business. If you’re struggling to find the right virtual assistance niche for you, grab her list of 150+ service ideas. So what does it actually take to become a virtual assistant? Before you quit your day job, it is important to make sure you take the proper steps to get your VA business off the ground. Launching into a career in virtual assistance is a risk, but that risk can also pay out to a big reward. Those who have become profitable in this field have done so with a calculated strategy. It’s important that you do so as well. Think back on the industries you know best. Have you worked in the food industry for years? Do you have knowledge in finance, law or healthcare? Have you helped out a non-profit or served on a community board? Each one of these industries can be a place for you to grow your VA business. Choosing a niche doesn’t need to be difficult. The more experience and knowledge you have in the industry, the more effective you can be as a resource for your clients. Still struggling to find the perfect niche? Check out this list of more than 150 ideas! Building your website is an essential step in becoming a successful virtual assistant. Even if you have no experience in designing websites, you can create a great-looking website that will showcase your skills and provide a way for businesses to find out more about you and your services. Companies like Weebly, WordPress, Wix, Squarespace, and more provide ways for you to use templates to build your site. These tools are easy to use and provide a professional look for your site. Having a website is a great way to be able to show businesses what you can do and also get recommendations from those you have worked with to further grow your business. We all know the story of Goldilocks and the Three Bears. In choosing your price point for being a virtual assistant, you want to have a Goldilocks mentality. Not too hot, not too cold, just right. If you price yourself too high, clients won’t be interested in paying your rates. If you price yourself too low, you will be inundated with work and not be making what you should. Research the industry and see what other VA’s are charging businesses. Then combine your experience with what you think is a fair and equitable wage and go from there. Ignoring this step could prove costly for you in several ways. You want to make sure that you have a proper contract in place which clearly spells out your duties and obligations while also informing the client of your expectations for the position. Many businesses will also have contracts for you to sign which will state your responsibilities to the business and what you are doing for them. It’s a good idea to have a generic draft of the contract and then tailor it to the specifics of the business or organization. These contracts can be customized based upon your niche and industry and can help you cover your bases while working in a virtual assistant capacity for an organization. There are several ways to market your VA business. A key way to begin garnering interest is to become an expert in the industry. This doesn’t mean you have to go out and get your Ph.D., but simply that you are being a resource of information about the industry. Sharing articles, blogging or being part of message boards or forums can show businesses that you care about the industry and are knowledgeable about it. In looking to attract clients, social media can also be an invaluable tool for you to land new clients. Setting up a LinkedIn profile will allow you to put your resume and experience out for the world to see. This platform also allows you to connect with businesses and influencers directly, giving them a firsthand look at your skill set. Creating a Facebook business page or Twitter account for your business can also be a great way to market your business. This is a simple (and free) process which can give you another presence in the digital community. To get clients, you have to go where the clients are. A great way to promote your business is by joining groups on social media where virtual assistants are. There are websites, job boards and several other places where you can create an account and showcase your business. Whether it is running a series of Facebook ads or connecting with a local chapter of your community business bureau, getting your name out in front of businesses will open the door for you to get clients. Another way to promote your business is by pitching your services to friends and influencers you already know. Do you have a family member who has their own private law firm? Or perhaps your friend’s husband owns a used car dealership or body shop. Whatever the case, sometimes this can be your foot in the door to present your skills and offer your services. Landing your first client can be overwhelming. You’ll be nervous that one mistake will ruin your VA career forever. Don’t be nervous. Understand that as you grow your business, you will be able to learn more things and be more efficient. Often landing the first client is the most difficult step in the process. However, once you are able to begin working with a client, you want to make sure you do everything you can to be a great resource for them. Whether it is taking a little less hourly pay or working extra on a project, getting that first great impression can lead to additional referrals in the future. You’re still reading this. Great! Are you ready for a change in your career? Are you looking to be home more and out of the cubicle environment? Then perhaps a career as a virtual assistant is right for you. Consider exploring this field by researching the industry and even taking an online course created by a professional virtual assistant. Join the thousands around the world who have moved their offices online with a career in virtual assistance.